Add RbAp48 monoclonal antibody - Classic to my shopping cart. Request a quote for a bulk order for RbAp48 monoclonal antibody - Classic. Please fill out the form here below. Your local sales account manager will get in touch with you shortly and send you a quotation based on your requirements. Alterantive names: RBBP4, CAF-1 subunit C, CAF-I P48, NURF55, Lin-53. Monoclonal antibody raised in mouse against retinoblastoma binding protein 4, using a KLH-conjugated synthetic peptide. 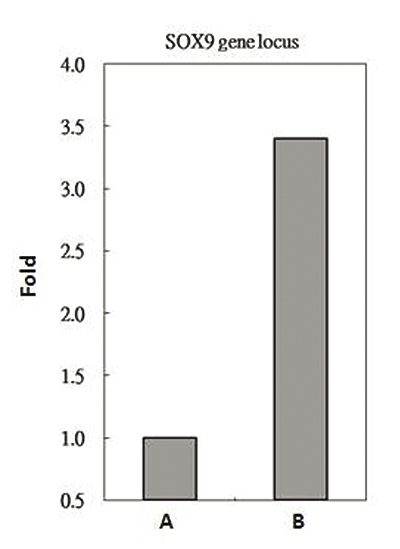 RbAp48 antibody immunoprecipitates RbAp48 protein-DNA in ChIP experiments. ChIP Sample: HeLa chromatin extract A. 5 μg preimmune mouse IgG B. 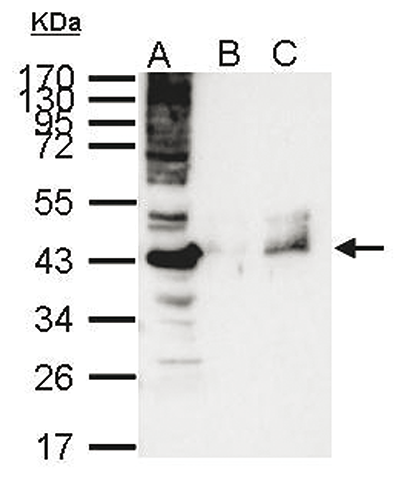 5 μg of RbAp48 antibody (C15200206) The precipitated DNA was detected by PCR with primer set targeting to SOX9 gene locus. 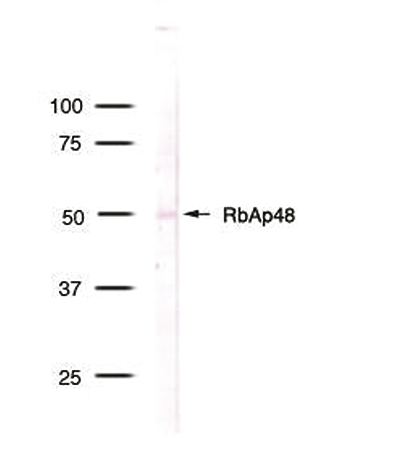 RbAp48 antibody immunoprecipitates RbAp48 protein in IP experiments. IP Sample: 1,000 μg HeLa whole cell extract A. 40 μg HeLa whole cell extract B. Control with 2.5 μg of preimmune mouse IgG C. Immunoprecipitation of RbAp48 protein with 2.5 μg of RbAp48 antibody (C15200206) The immunoprecipitated RbAp48 protein was detected by western blot with the RbAp48 antibody diluted 1:500. 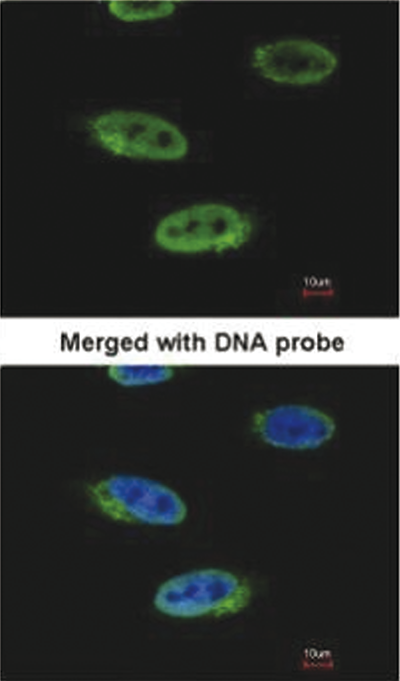 Immunofluorescence analysis of HeLa cells, using RbAp48 (Cat. No. C15200206) antibody at a 1:100 dilution. Detection of RbAp48 in HeLa nuclear extract. Diagenode strongly recommends using this:	RbAp48 monoclonal antibody - Classic (Diagenode Cat# C15200206 Lot# 40186). Click here to copy to clipboard. Add 15 ml Bioruptor® Pico Tubes to my shopping cart.